Yes you read that correctly, I received ten blankets in one week! Our blanket count is now at 17. Emma Ashman and her mom Sandra made an amazing five beautiful blankets. This is their third CFK making beautiful blankets. Barbara Boothman’s second blanket all the way from Portugal also arrived this week. It’s a bright colour riot! Marion Nelson made a blanket for CFK 4 and this week I received her lovely stripy blanket for CFK 5. This one will be perfect for a male dialysis patient. And here are Susara Ribbens De Vos’s stunning three blankets. Just like the Ashmans, this is also Susara’s second year contributing to Crochet For Kidneys. Susara used the same shades for her three blankets, but by just adding white or grey and chaining the pattern, they look so different! 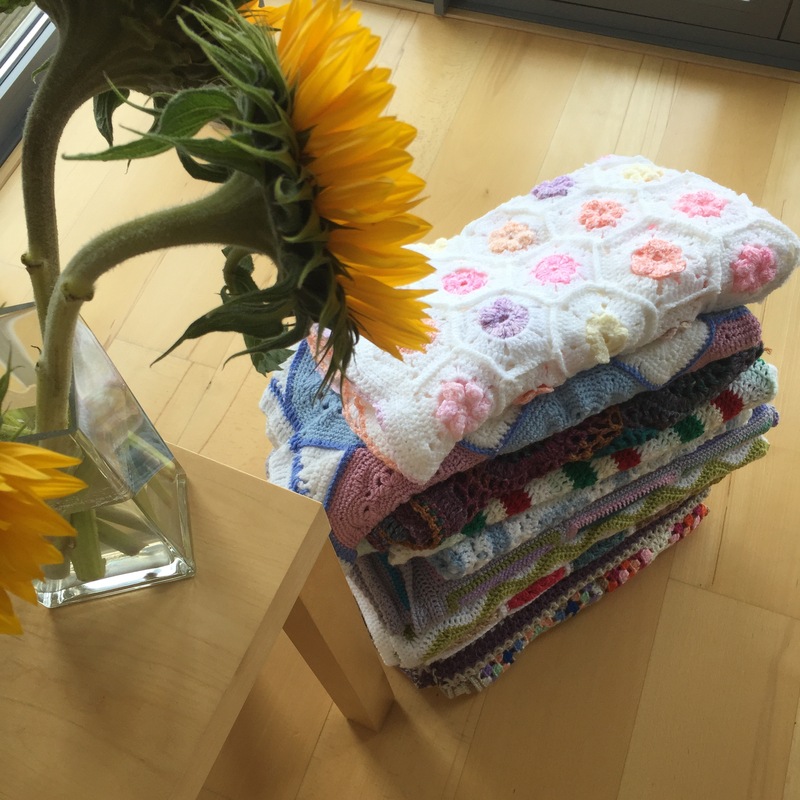 A pile of 10 beautiful, lovingly made blankets destined for the kidney disease patients of The Royal London Hospital. 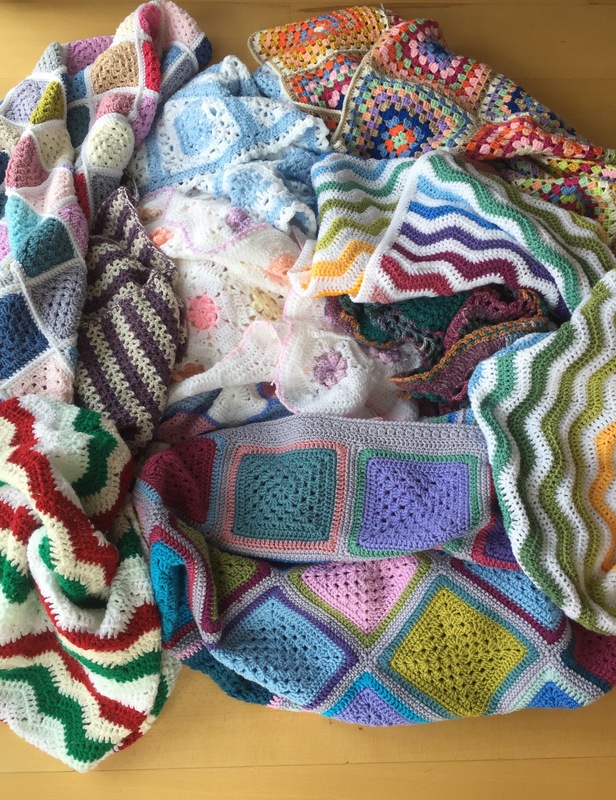 Thank you so, so, so much to everyone who have sent me a crochet blanket. I can’t tell you much I appreciate the hard work, time and the cost of postage that go into these. If you want to contribute to Crochet For Kidneys Part 5, you still have until the first week of November to get your blankets to me. I have to get a move on myself, because I still have to finish the autumn shades ripple blanket! Let’s get hooking!